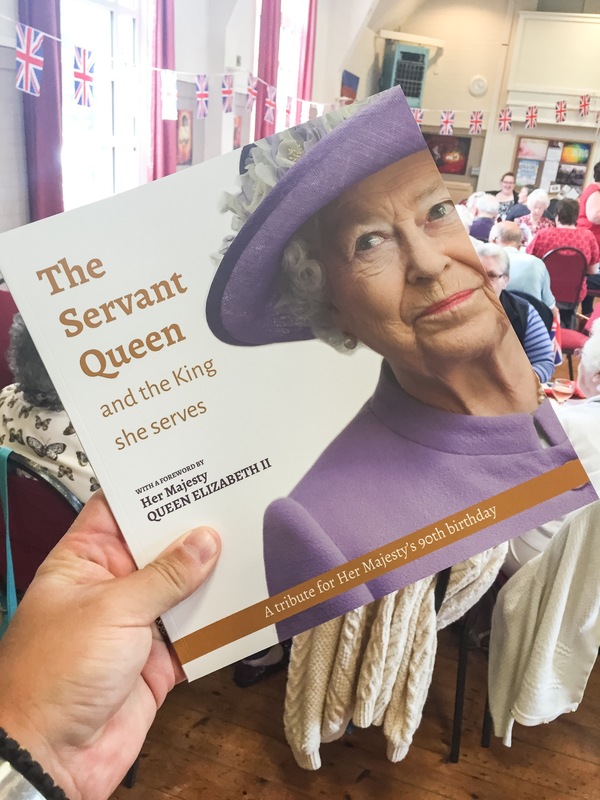 Today Holy Nativity’s Over 50’s and Disabled Lunch Club celebrated the Queen’s 90th birthday with Style! The day’s festivities began at 11am with the communion service. Revd Robb led the service and talked about the Queen’s faith and how it has been instrumental in her life. He then talked about the role of God as king and how the whole of humanity is welcomed into His presence. The church has been decorated with bunting and flags. After communion, we were treated to roast beef and yorkshire pudding followed by lemon meringue pie. All of this was cooked by the amazing church warden Sue and a team of volunteers! There was a quiz all about the monarchy with some very knowledgable people present. Everyone was given a copy of this book to take home with them as a souvenir! After the tables had been cleared we sang the national anthem and then enjoyed a good dance to the afternoon’s entertainment, a professional singer. Holy Nativity is celbrating the Queen’s Birthday as part of the national celebrations this weekend. On Sunday there will be a big all age service at 10am followed by a faith lunch. Everyone is welcome as we come together to celebrate! Miow. Miow miow miow. Miow.